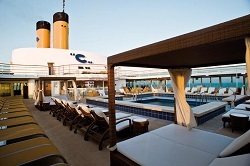 Costa Cruises European cruises are better than ever. With so many ships, Costa gives you the choice of Baltic, Scandinavia & Russia, the Red Sea, Norwegian Fjords, Western Mediterranean, Eastern Mediterranean, and Trans-Atlantic. Costa Cruises will have twelve ships in Europe in 2019! When you board your Costa ship in Europe, you'll embark on a truly international voyage where you're as likely to meet shipmates from France to Texas. Along with Europeans and other Americans, you'll be meeting interesting travelers from around the globe. Americans are made to feel at home by English-speaking hosts and hostesses who are there to welcome you aboard and help you settle in. In fact, they'll be there most any time you need them, whether to answer questions at the dinner table, ashore or at various other times throughout your cruise. That's just one of the many conveniences of cruising with Costa. Since your ship is your home away from home, your luggage travels with you as you call at the doorsteps of new ports in new countries nearly every day. You can visit as many as four different countries in a single week, yet you'll only have to unpack once. Not to mention that you don't have the hassles of checking in and out of various hotel rooms, arranging transportation between ports, or searching for good restaurants. It's all included! You'll also enjoy knowing that the onboard currency is the Euro. So you'll be able to use local currency, making your vacation even smoother. And because your cruise is all-inclusive, you'll know exactly what's included, start to finish, so there won't be any unexpected surprises. When in Europe with Costa guests: Sit back, relax, and bask in warm, Italian hospitality as we show you the continent that we call home. When you're cruising Europe Italian Style, the sightseeing never stops, even on days at sea. In fact, some of Europe's most amazing scenery will be visible from the comfort of your deck chair. From our signature Spa, where you can indulge in a Roman bath or aromatherapy, a hydrating seaweed wrap or an energizing aerobics class. You won't miss a single fjord or craggy Grecian cliff from our jogging track either, where the views are nothing less than inspiring. Linger over a cup of freshly brewed cappuccino with new European friends. Discover the fine art of preparing perfect pesto in an Italian cooking class or attend onboard lectures to find out more about the fascinating cities you'll explore. Steal some quiet time in a statue garden and curl up with a classic. Or drop by the Internet Cafe to send home an electronic postcard. And don't forget to explore your ship's well-conceived boutiques, with everything from tiny Venetian glass figurines to fine Italian leather goods, all duty-free, of course. You can do everything. Or nothing at all. Whatever you choose, one thing is certain, you'll never be bored onboard a Costa cruise. It's our Italian heritage that sets us apart and our gracious shipboard style that keeps guests coming back cruise after cruise. When you choose to spend a week Cruising Italian Style, it is only fitting that your accommodations feature all the comforts and conveniences of home. Beautifully appointed staterooms and suites welcome you with warm colors and designer accessories such as exquisite Murano glass lamps and original artworks by Italian artists. Every amenity has been put in place to make your stay enjoyable. You'll find ample closet and storage space, an interactive television, fully stocked mini-bar, a safe deposit box, hair dryer, and ship-to-shore telephone service with a voice messaging system. Your private retreat also offers spacious bathrooms and showers (whirlpool tubs in suites), a comfortable sitting area to relax or read a book, and a desk to attend to your daily journal. Should you choose accommodations with a private veranda, you'll experience the romance of gazing over the changing colors of the seas and exotic ports of call. 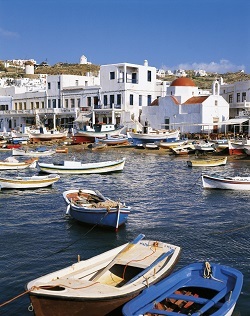 So come aboard and enjoy the generous hospitality of Italy by cruising with Costa. We promise you we'll make you feel right at home. Buona sera and sweet dreams. Kids love adventure. And whatever their age, from 3 to 17 years, they'll love la dolce vita as much as you do. Because we'll keep them happy and entertained in the Kids Club while you enjoy some private time. They'll be meeting kids their age from all over the world, all speaking the international language of Awesome! Under the expert supervision of our professional children's entertainers, they'll be playing favourite games and learning new ones, battling aliens in video games aboard our newest ships, and enjoying lots of other cool stuff too. Pizza parties, international karaoke, contests, face painting, masquerades, ice cream socials. Even Italian language lessons. It's all included with your cruise, and it lasts all day. We even give parents time to themselves in the evenings for dancing, dining, the casino, whatever you're in the mood for - we'll take care of the kids while you enjoy Costa nightlife. And each other. Costa has always been kid-friendly, and that includes meals. Your kids get their own menu, with lots of their favourites. But if you're raising a gourmet, the grown-up menu will definitely do the trick. Cruising Italian Style - It's just the right style for you and your kids. Costa Cruises Value - At least 60% less than a land-based vacation to Europe! In addition to love, laughter and la dolce vita, there's another important aspect of Cruising Italian Style with Costa Cruises. It's simply a great value. And that may be the greatest luxury of all. Because once you've booked your Costa cruise, you've arranged the perfect all-inclusive vacation with one phone call or the click of a mouse. You can look forward to a wonderful variety of delectable meals and snacks from first light to long past midnight - casual and quick, long and lingering, whatever suits you at the moment. All just a leisurely stroll from anywhere aboard ship, so you can save your energy for your in-port explorations. Activities and entertainment are also included - everything from sightseeing tips, and gym facilities to glittering musical revues, lounge entertainment ranging from soft sounds to jazz combos, and dancing in the pulsating disco long into the night. As for accommodations, you'll sail from port to port in a spacious, supremely comfortable stateroom or suite, equipped with all of the comforts and conveniences of home. There are no hotel stays to arrange, no constant packing and unpacking. Best of all, there's no stress trying to get from place to place in foreign countries. Instead, you're Cruising Italian Style and pampered by Costa's unique brand of service, comfortable in the knowledge that, whichever cruise you've chosen, it's one of the world's best vacation values. Costa Cruises Awarded "Best Med Itineraries" - 15 years in a row!